Sombraro Galaxy is approximately 29.3 million light years away. 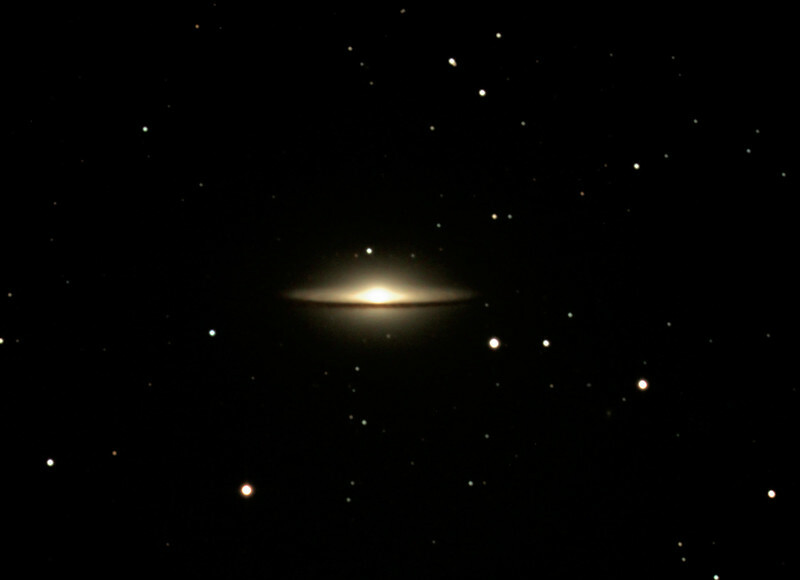 Sombrero (also known as M 104 or NGC 4594 ) is an unbarred spiral galaxy in the constellation Virgo. It has a bright nucleus, an unusually large central bulge, and a prominent dust lane in its inclined disk. The dark dust lane and the bulge give this galaxy the appearance of a sombrero. The galaxy has an apparent magnitude of +9.0, making it easily visible with amateur telescopes. The large bulge, the central supermassive black hole, and the dust lane all attract the attention of professional astronomers.